Action and Protection Foundation (TEV) hosted an international conference, “European anti-Semitism, the fight against anti-Semitism” on 27 June 2018. 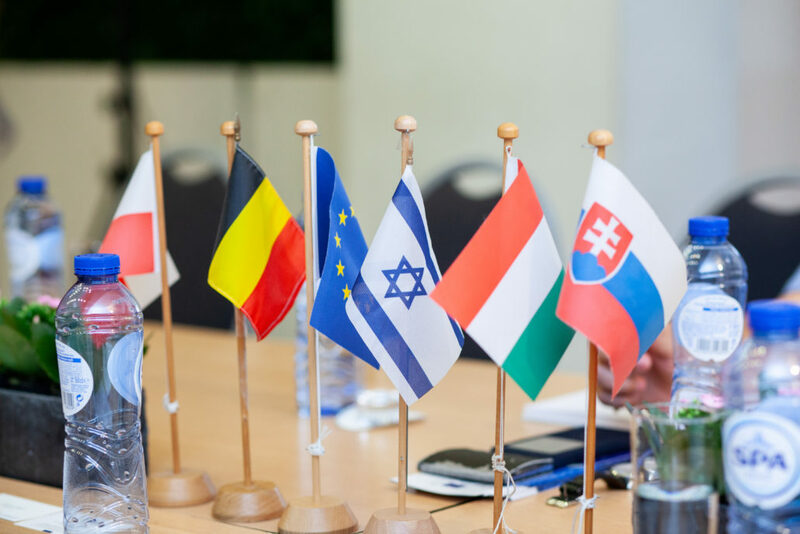 In the exchange of ideas held at the Brussels headquarters of the European Jewish Association, the establishment of a center to analyze anti-Semitism in the Visegrád countries using common methods and practices was discussed. United action to combat anti-Semitism is the goal of the program taken up by the initiative of Action and Protection Foundation (TEV) along with its Slovak and Polish partners. To achieve this, TEV and its partners have proposed establishing a human rights center to monitor, research, and analyze anti-Semitism. This center can offer V4 countries highly-developed methods and practices that have proven reliable when taking action against verbal and physical anti-Semitic assault. The program leader, TEV—founded by the Unified Hungarian Jewish Congregation (EMIH)—is the only organization in Europe whose target system and operation serves the most efficient form of combatting anti-Semitism recommended by the OSCE (Organization for Security and Cooperation in Europe), through the triple activities of research, education, and the protection of human rights. With the involvement of Polish, Czech, and Slovak partners, the program prepares future specialists in the analytical tasks required by the monitoring activity and imparts the skills necessary for the representation of these interests. A comprehensive anti-Semitism monitoring report based on data from the Visegrád Countries will be published at the end of this year as part of the program. Opening the conference, Hungarian ambassador to Brussels Zoltán Nagy said that anti-Semitism has no place in Hungary, either in Parliament or public life, and anyone violating this risks a stiff fine or even a prison sentence. 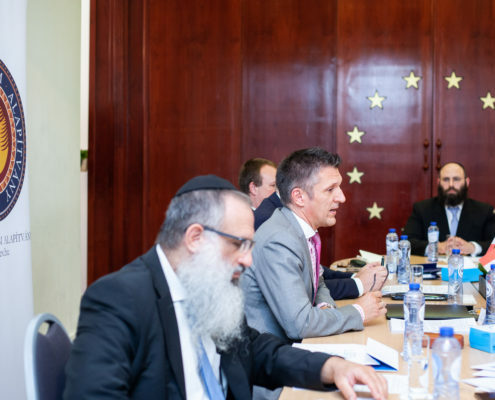 Rabbi Menachem Margolin, President of the European Jewish Association, emphasized in his welcome that it is important to find partners for action against anti-Semitism. The struggle against anti-Semitism can only be effective if it is combined with advocacy across all of Europe. Johannes Börmann, deputy European Commission Coordinator on Combating Antisemitism stressed that though anti-Semitism attacks Jewish communities, it is also a threat to the whole of society and democratic values. In his speech, Kálmán Szalai emphasized the importance of the triple activities of research, education and protection of rights in the fight against anti-Semitism. The TEV Secretary pointed out that some organizations exaggerate the verbal anti-Semitic phenomena observed in the Central European countries while remaining insensitive to the new forms of Western European anti-Semitism, which also comprise physical violence and economic boycotts. 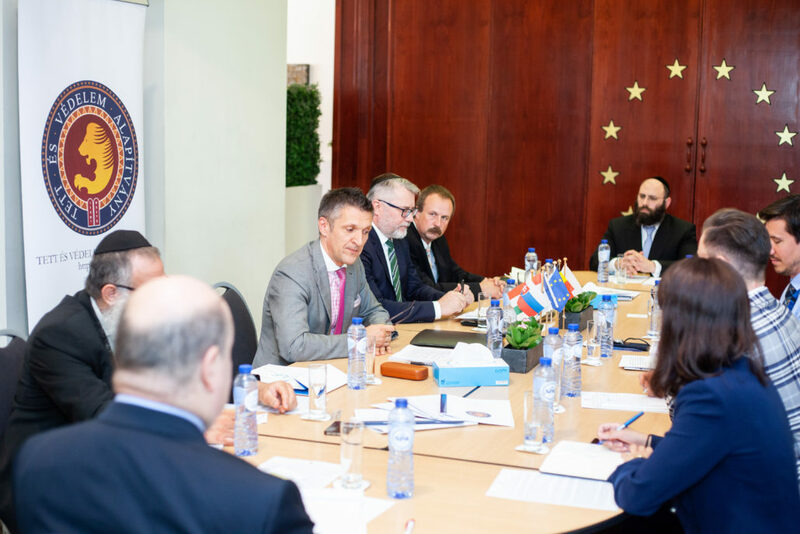 As a solution, Kálmán Szalai proposed the institution be established in the Visegrád countries, which can be a center for monitoring anti-Semitic phenomena and ensuring rights across Europe. Speeches at the conference were also given by Rabbi Baruch Mayers, the Slovak partner in the cooperation and leader of the Slovak Chabad, as well as Ádám Szesztay, Head of Department representing the Ministry of Foreign Affairs. Representatives of the partners in this cooperation among Visegrád countries took part in the event, along with representatives of the foreign ministries of several countries who were present as observers. Apart from the joint representation of economic, diplomatic, and political interests, the V4 countries further strengthen their cooperation in the fields of culture, sciences, education and research by means of the Visegrád Fund created by the member countries of the Visegrád Group. The common values of the V4 countries are especially important because no other European region shares the experience that the countries of the Central and Eastern European region have. The TEV initiative calls for the V4 countries to act together against anti-Semitism, which strengthens this alliance. 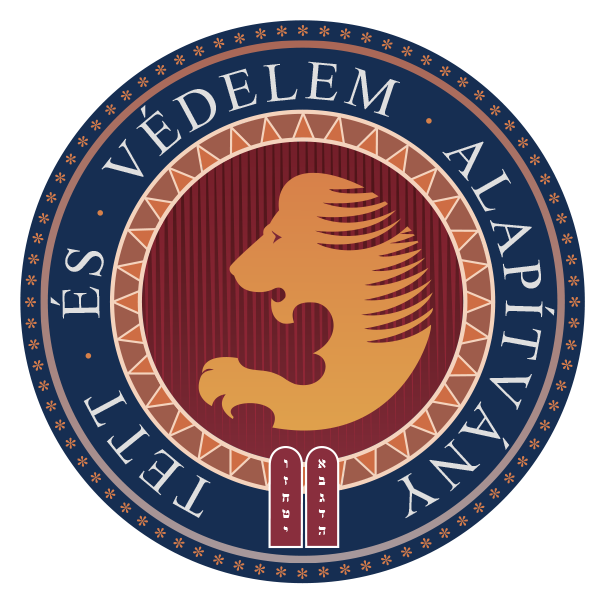 The project was realized with the support of the Visegrád Fund.